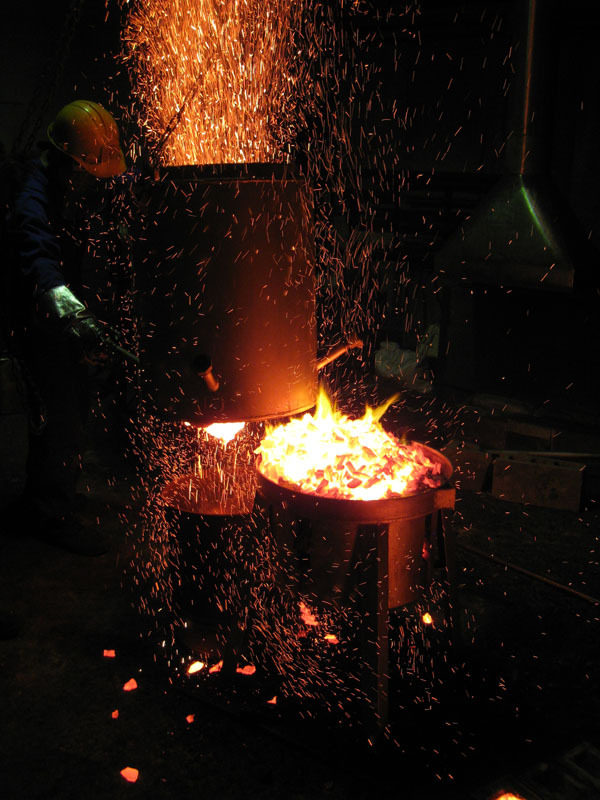 The teko is the tool — a plain bar — that is used to hold the steel block to be forged. The said block is welded onto one end of the teko. 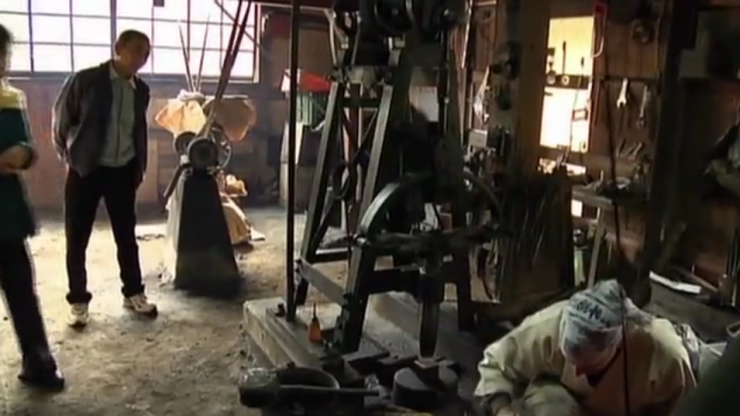 This video shows Manabe Sumihira performing such a forge weld. In early April 2011 I had the opportunity to visit a traditional village blacksmith while in the Fikkhal area, Eastern Nepal. 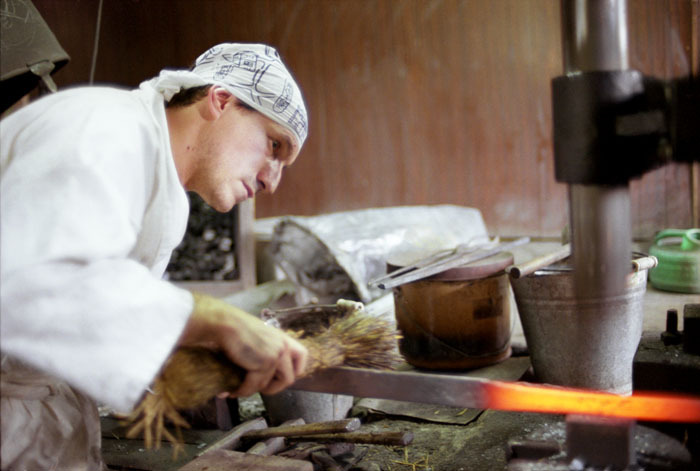 In both India and Nepal craftsmen are still considered as the lowest cast and I could see this man lives simply. He was extremely peaceful and very pleasant to be around. 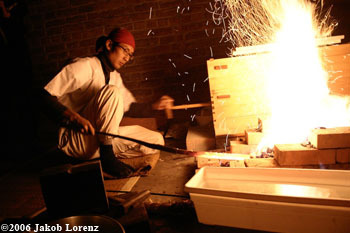 The forge used by swordsmiths in Japan is inconvenient for delicate work because it is deep and remote from the smith (it's made for long things) Some smiths therefore design a miniature forge they can put away and take out as they need. I checked several designs and built this one on wheels, with its own blower, making it thus «plug-and-play»!